One of the Firm’s key areas of activity is the environment in relation to activities directly and indirectly related to electrical and electronic equipment and batteries. The Firm currently provides advice and assistance in the areas of WEEE (Waste electrical and electronic equipment), RoHS (restrictions on the use of certain hazardous substances in electrical and electronic equipment) governed by the provisions of the directives 2002/96/EC and 2002/95/EC, recently implemented in Italy by Italian Legislative Decree No.188 of 20 November 2008. 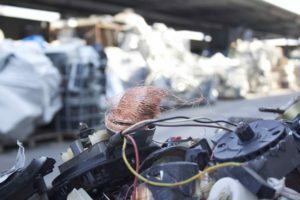 PDF: Difference between used products and waste , EEE and WEEE Used products can be transported without particular formalities and costs like any other non-hazardous mobile item, waste is subject to a scheme of its own with an evident cost and obligations in terms of transport and quality. (Article published on issue of January 2015 on Market Place magazine). PDF: The new RoHS DIRECTIVE ( Directive 2011/65/EU of 8 June 2011on the restriction of the use of certain hazardous substances in electrical and electronic equipment ) By 2 January 2013, all EU countries will have to implement the new RoHS Directive, which is rather articulated and complex. The purpose of this document it is to simply examine, in view of the forthcoming entry into force of the new legislation, some practical, relevant and immediate issues of particular interest to those who produce, import and market the products – now becoming increasingly numerous – involved by the restriction on the use of certain hazardous substances.